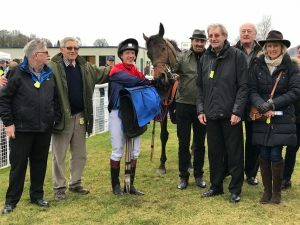 Serena Brotherton sets sail to ride in Peru! A huge thank you to our friends at the Jockey Club of Peru Jochi Meza and Sara Torres for so kindly offering the chance of a lifetime for us to send an amateur jockey to ride at Hipodromo de Monterrico in Lima, Peru this coming weekend! 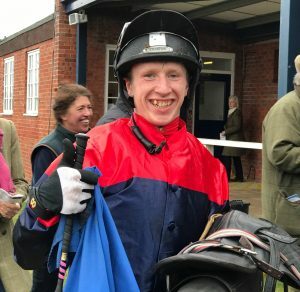 This is the first time ever that a British amateur jockey has ridden there. 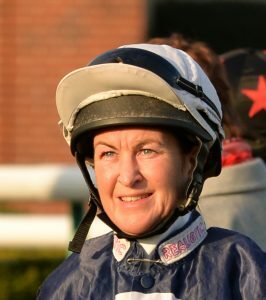 With a very light riding weight of 56 kg required, multiple flat lady champion Serena Brotherton is delighted to be flying out this week to enjoy this unique experience. 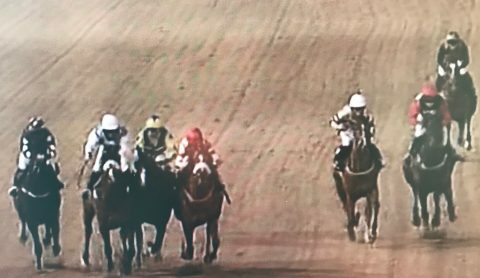 Thanks to our kind hosts, Serena looks forward to 2 rides on Saturday, one over 1500 metres on dirt and the other over a mile on turf. 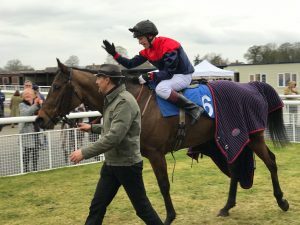 Ludlow Race Course has got to be the favourite UK racecourse of Mark Galligan who followed up his January 1st career winner there with the 2nd win of his career today on Goohar in The Prince of Wales Challenge Trophy Amateur Riders’ Handicap Chase. 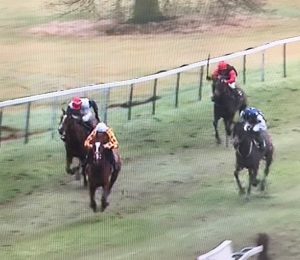 This valuable 3 mile chase produced a thrilling photo finish from 6 runners with Mark and Goohar bravely staying on to deny Lorcan Williams and Captain Buck’s by a neck. 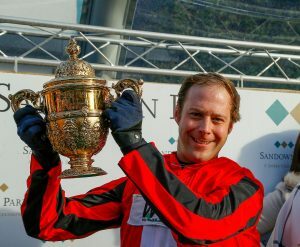 Ludlow welcomed BHA Chief Executive Nick Rust who kindly assisted with the winning presentations. 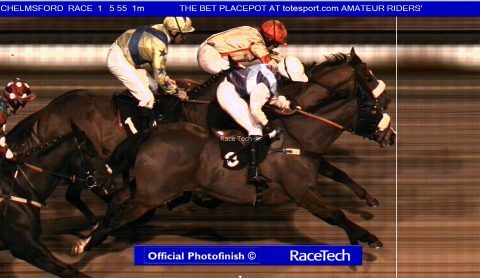 A dramatic finish to the opener at Chelmsford last night saw a photo finish between Antonia Peck aboard Laura Mongan’s TED’S BROTHER a nose in front of Harriet Lees on Kevin Ryan’s TAGUR with Simon Walker squeezed for room in third. 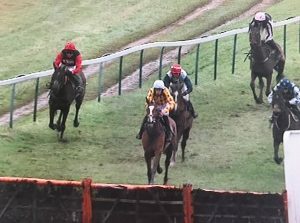 The result was the subject of a steward’s enquiry with the stewards subsequently and contraversially reversing the first two placings which was questioned by Matt Chapman covering the meeting on At the Races. 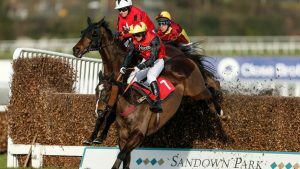 It remains to be seen if an appeal will be lodged. 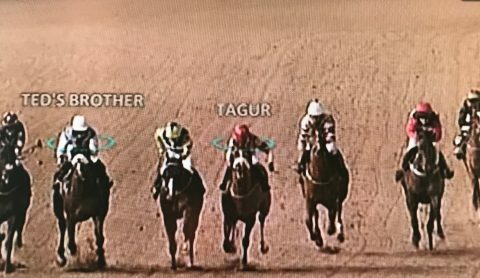 Tagur had been up with the pace all of the way but just lost out at the line. 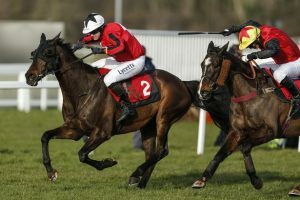 It was the stewards’ opinion that Ted’s Brother had hampered Paddy A who in turn bumped Tagur. 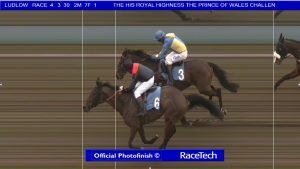 However, on the head on it appeared Tagur had edged right helping to squeeze out Simon Walker on the favourite Paddy A.
Congratulations to Harriet Lees on her second win in 5 days. 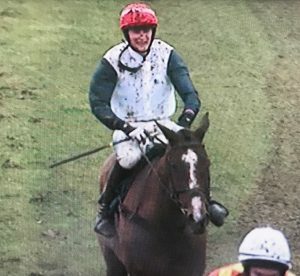 Congratulations to leading amateur Zac Baker on a patient ride aboard Godfrey Maundrell’s mare Tambura in very testing conditions at Towcester on Valentine’s Day to record their 6th career win together in the mares’ hurdle. 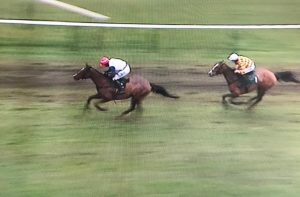 Looking outpaced having been in touch in the early stages of the race, the mare renewed her efforts as they turned for home up the Towcester hill and galloped relentlessly to wear down her rivals and lead after jumping the last. 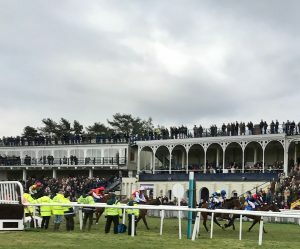 The AJA have always included all amateur jockeys’ Christian names when publishing tables to make all amateur jockeys more “user-friendly” to the racing public and to help raise all amateurs’ profiles. 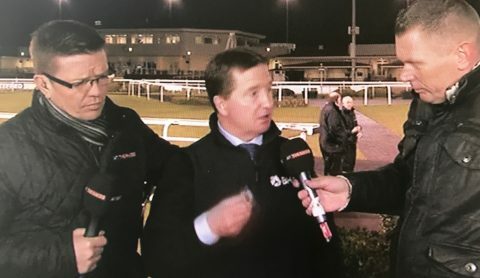 After much discussion it has at last been agreed with the BHA that this can apply to all amateur jockeys when names appear in the press and on racecards but this is subject to each individual amateur jockey’s wishes. 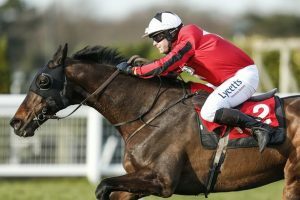 From 1st March 2018 all amateur jockeys’ names will be made up of a title, forename (in full) and surname as opposed to the current system whereby most jockeys are known only by title, initial and surname. If you would prefer a different style from this, please respond via e-mail to ghodsden@weatherbys.co.uk by no later than Monday 12th February. If you are happy with the proposed new racing style, you do not need to do anything and you will be notified when the changes have been made.